As a computer programmer, you are more equipped to make informed decisions when participating in the stock market. There are lots of finance APIs out there that you can use to track the status of certain stocks. Google’s finance API might have a lot of weight in the industry by it being published by Google, but it hasn’t been maintained for quite a few years. There are definitely better options available on the market right now. The Google finance API has sparse documentation, and you will be hard pressed to find any information about it published by Google. Some third-party documentation covers the more basic aspects of its usage. As far as public endpoints go, the Google Finance API is very standard. It’s able to take REST requests, and it returns the desired data in JSON format. Please be aware that the Google Finance API isn’t supported by Google anymore, thus undocumented and unreliable. This should only be used for private toy applications, and it has a very real potential to change at any moment. Public resources, such as RapidAPI, are a good source for learning about which APIs are maintained and available for public use. The Yahoo Finance API is an obvious choice for replacing the Google Finance API. It is one of the most popular and visited financial sites with extensive stock market data. While the old Yahoo Finance API no longer works, there are still many ways to access the data. How much does the Yahoo Finance API cost? The API follows a freemium pricing model. This means the API offers a certain amount of API calls for free, then charges for more requests past the threshold. Under the Basic plan for the Yahoo Finance API, you’re allowed 500 API calls per month for free, then $0.002 per additional request. There are paid tiers for higher usage, including a $200 Mega plan for unlimited usage. Get a more detailed look at the Yahoo Finance API and how to use it. Alphavantage is also generally considered to be a good alternative to Google Finance because it’s actually being maintained, it has a public documentation, and it has an enormous amount of available data options that are tailored to your data-tracking interests. As most APIs are, it offers free public endpoints, and it merely requires the use of a key for tracking your usage. They do have a usage limit that can be prohibitive for some users, but your account can be upgraded to allow up to 1200 requests per minute with no throttling or blocking. They allow you to track securities on FOREX, and they also allow you to track Cryptocurrencies as well. According to their website, they’re also a trusted data provider for institutions like Ycombinator and Harvard University, so they have some amount of authority within their field. Browse our list of some of the best Finance APIs to build applications with. If Alphavantage isn’t your speed, Currencylayer, which is also listed on RapidAPI, may be able to fit your needs. Their rate limit is fairly slow if you’re not paying for an API key, but they offer a high-quality paid solution if their product seems to be appropriate for your goals. They offer real-time ticker updates, and they return data in a JSON format. They also offer detailed instructions for getting started with their API for first-time users. This can be especially helpful even if you’re not new to programming, as it minimizes the amount of time spent fiddling with your code just to get a HelloWorld example up and running. Their endpoints offer live, historical, time frame, and currency conversion data. How much does the Currencylayer API cost? The currency layer API is free to use on RapidAPI. All you need to do is to acquire an API key from https://currencylayer.com/product and add it to the “access key” form field. Investors Exchange Trading, or IEX, can be another viable alternative. This option is preferable if you’re a developer that likes to make more rapid requests for data. Their documentation does not disclose any limit to their API usage, and they have officially stated on their website that individual developers are allowed to make up to one hundred requests per second. This is very high in comparison to most other free APIs. Their public endpoints are also free to use, and they have unofficial wrappers available in C, C++, Java, Python, Ruby, Go, and many others. It’s difficult to find any drawbacks to this organization because the sort of service they offer is really quite exceptional. If you’re an AI researcher, this organization might be of special interest to you as well. Their platform aggregates recently posted news articles, and they provide a quick and easy way to figure out what the latest updates are on the less technical aspects of a given stock. 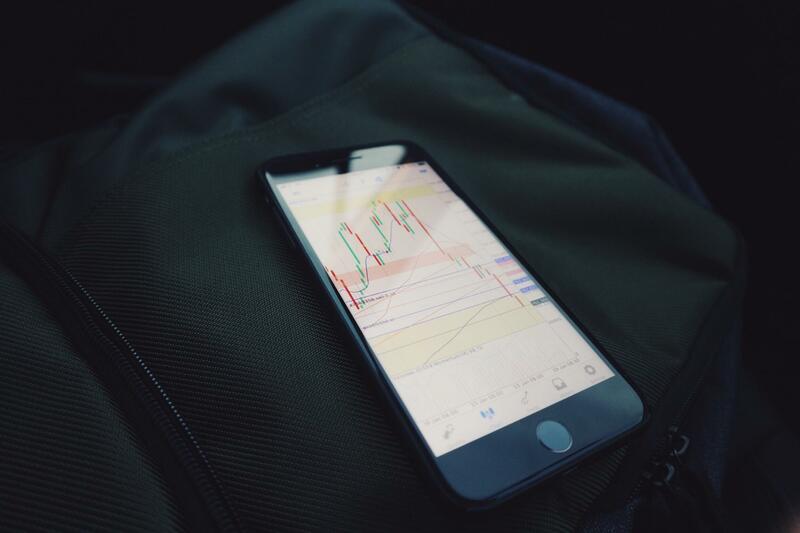 This trading technique has been proven to be extremely effective in recent memory, so this sort of data can be very valuable. Their public endpoints are numerous, and they even offer an IPO calendar so you can track historical and upcoming public offerings for certain stocks. If Cryptocurrency interests you, they also offer ticker data for a few of the more standard ones. Finally, Tradier API offers a high-quality solution for programmers who want to trade on the same platform that they track stocks from. Their rate limit for their free and public endpoints varies from 60-120 requests per minute, which should be more than enough for the vast majority of uses. They offer endpoints for corporate calendars, historical data, ticker information, and many other pieces of data. They also offer data streaming over HTTP. Like Alphavantage, they provide usage examples for Python, Perl, Java, and Ruby. Tradier is definitely one of the higher-quality options for programmatic or algorithmic traders looking for new API options. Their endpoints do require the use of an authorization token and API key, but this is the case for most APIs and shouldn’t be too prohibitive. Google finance API has been out of commission for quite a while, and it seems to have gone the way of Yahoo Finance. Fortunately, there are many other great options for programmatic traders who are looking for new public data endpoints. In this article, we’ve gone over the functionality of Google Finance, which is deprecated and not officially available to the public. Some other alternatives include the Unofficial Yahoo Finance API, Alphavantage, CurrencyLayer, IEX, and Tradier. If you’re interested in trading from the same platform that you get your data from, Tradier is definitely your best option. If you’re looking for high-resolution data and an unbeatable rate limit, then IEX is a superior option. And if you’re interested in further reading, RapidAPI.com has an excellent selection of Finance APIs & Stock Market APIs that can help speed up your research.